Small group and team training designed to maximize your workout in under 60 minutes. Designed to bring you results quickly and efficiently, FUSION small group and team training at our gym in Chester uses heart rate training technology to track your momentum and targeted workouts to challenge you. Our FUSION coaches keep you motivated as you crush your workouts. Your FUSION coach at our health club in Chester will get you warmed up and ready to smash your workout in under 60 minutes. Track your progress with your MyZone heart rate monitor as you squat, row, and lift your way to mega calorie burn. Find your next Fusion workout at our gym in Chester, online! 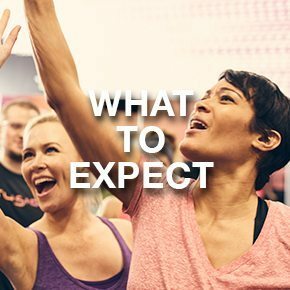 You'll find all of our classes for the month, which makes it easy to plan workouts ahead. If you have any questions, call the gym for more information. FUSION small group and team training at American Family Fitness in Chester is powered by world class coaches who are there to help push you throughout your fitness journey. Learn more about our small group training coaches today!